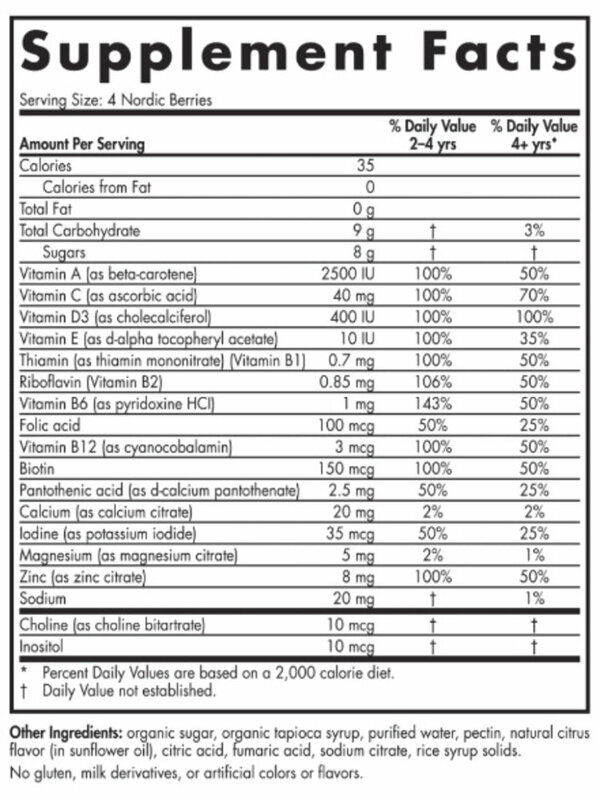 NUTRITION FOR YOUR WHOLE FAMILY - Getting your vitamins shouldn't be boring! Kids love our easy-to-chew, tasty, multivitamin gummies and you can feel confident in providing your child with high-quality nutrition. 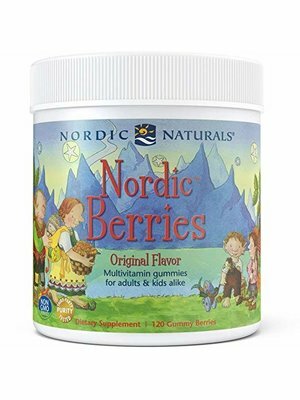 Nordic Berries contain all the essential vitamins and minerals for growing children, teens, and adults alike. Chewable multivitamin gummies are much easier to take than pills and your little ones will look forward to their vitamins every day. Recommended for Ages 2 and up. NO ARTIFICIAL INGREDIENTS OR PRESERVATIVES - Nordic Naturals places good health first. As a result, Nordic Berries have no artificial coloring or flavoring. They are non-GMO verified and gelatin, gluten, and dairy free. To achieve this our chewy gummies are pectin-based, and made only from sustainably sourced, natural ingredients to create a vitamin with everything your kids need without any fillers. PROVIDES ESSENTIAL VITAMINS AND MINERALS - Nordic Berries contain a complete daily dose of your recommended vitamins and nutrients. 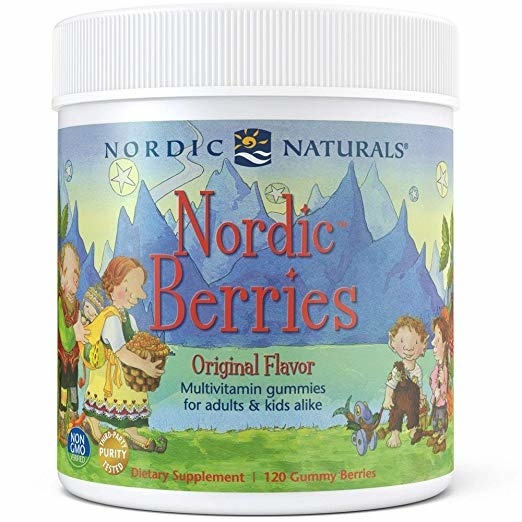 Four Nordic Berries provide the full recommended daily dose of vitamins A, C, D3, E, zinc and full-spectrum B vitamins to give your little ones energy to grow and learn. All this is hard to find in other gummies. 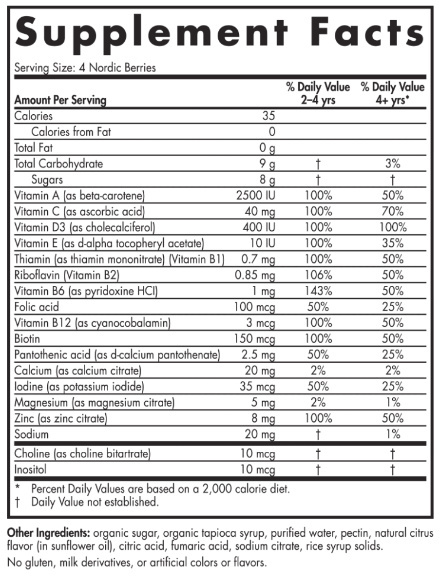 It's a great start or addition to any dietary supplement routine. 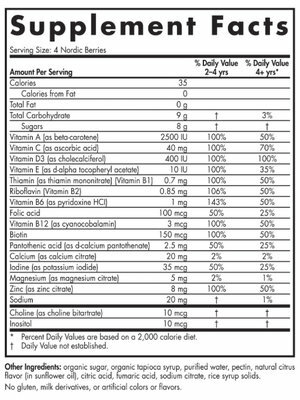 #1 CHILDREN'S VITAMIN IN US - The complete nutrition benefits are amazing but the best part is that they taste great too! Nordic Berries are naturally flavored with Norwegian cloudberries. This unique berry is the perfect mix of sweet and sour citrus to flavor our gummy chews. You will love the nutrition they provide, and your kids will love the taste. 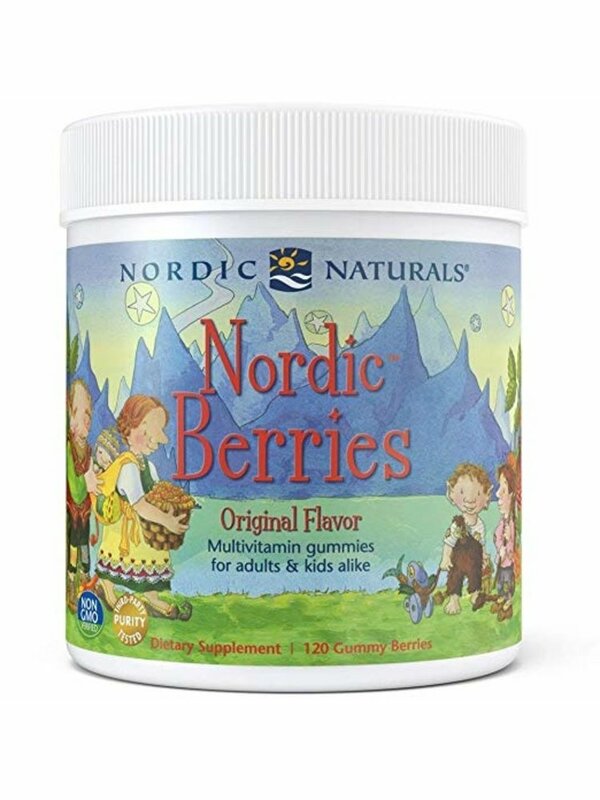 HIGH QUALITY INGREDIENTS AND PRODUCTS - Nordic Berries are an ideal companion to any Nordic Naturals Omega-3 Supplement. Nordic Naturals strives to provide quality supplements to help their consumers to reach optimum wellness. Nordic Naturals produces many different high-quality fish oil supplements sourced from Norwegian Arctic waters to get your daily dose of Omegas. All products surpass third-party testing for purity and freshness.